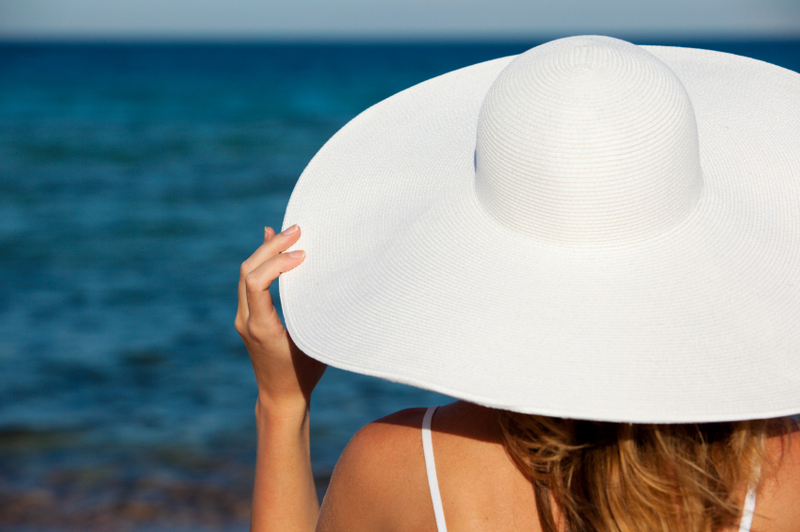 Using sunscreen can be an effective way to prevent skin damage that can lead to cancer. Make sure you know how to use it correctly! Today, CancerCare intern and guest blogger Breana McDonald shares some important tips about preventing skin cancer, especially during the sunny summer months. Breana currently attends The Hill School in Pottstown, PA, and she is interested in becoming an oncologist. It’s that time of year again! The weather is nice and the sun is blazing, but it’s important to remember that too much exposure to the sun’s ultraviolet (UV) rays can damage your skin and act as a major cause of skin cancer. The good news is that you can make small changes to your daily life to prevent skin damage and detect signs of skin cancer early. First, sunscreen can be very effective if used correctly, so make sure you know the right way to use it. 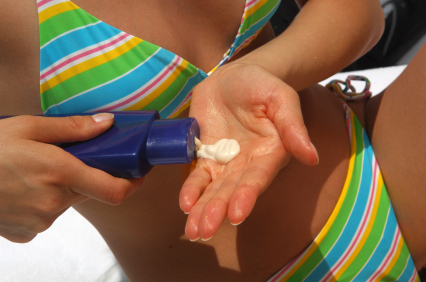 It is best to reapply sunscreen at least every two hours, regardless of the SPF. If you are swimming or sweating you should reapply it more often because even water-resistant sunscreen is not water proof. Second, choose a sunscreen that says “broad spectrum.” It protects against two types of UV rays that cause skin cancer. Also, use sunscreen with at least an SPF of 30 and remember to cover places such as ears, eyelids, lips, nose, hands, feet and forehead. A: Asymmetrical --> Is your mole oddly shaped? B: Border --> Does the mole have irregular or vaguely defined borders? C: Color --> Does the move have uneven coloring or multiple colors? D: Diameter --> Is the mole larger than a pencil eraser? Is it growing in size? If you have any moles meeting the ABCD criteria, get checked by a dermatologist and track your moles to see if any changes occur. To make it easier, perform self-examinations in a well-lit room in front of a full-length mirror and use a handheld mirror areas that are small or difficult to see (e.g. ears, neck, underarms, and between your toes and fingers). Double-check common places for skin cancer, which include your face, calves/legs, hands, chest and back. Enjoy the outdoors and summer but also enjoy practicing sun safety!